Back with more beading from the shiny object collection. This time in the form of a simple but bold necklace. I totally love it! 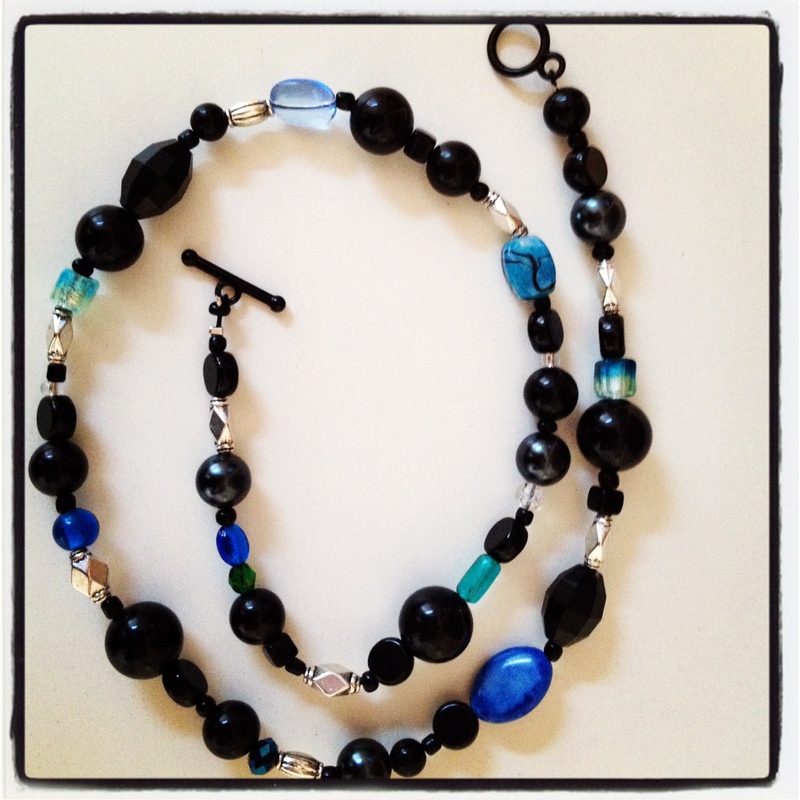 To make this I actually disassembled a boring black beaded necklace (long ago) I rarely wore and added some different beads for more interest. 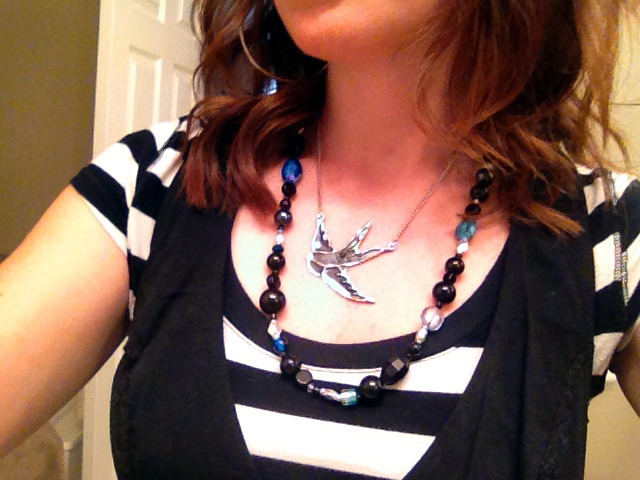 I like the length of this necklace a lot because it’s great for layering with another shorter pendant. It was a nice pick-me up today – I’ve been feeling totally blah at the office lately and as of today I’m vowing to amp it up style-wise. I start a new job Monday, sort of. A new company is heading up our contract, and while many of my job duties will remain, it’s a bit of a promotion. More responsibilities, more autonomy, and I’ll work directly for the Program Manager. This doesn’t necessitate dressing better but I love the feeling of a new start, so I’ve been thinking a lot about updating my look a bit in conjunction. More to come on that later, cuz now it’s time to think WEEKEND!